Cotton aphid numbers have been increasing over the last couple of weeks across the county and state. Some growers have already sprayed for aphids. Aphids generally build to moderate/ high numbers and eventually crash due to a naturally occurring fungus. This fungal epizootic typically occurs in our area in early/mid-July. Once the aphid fungus is detected in a field we would expect the aphid population to crash within a week or so. 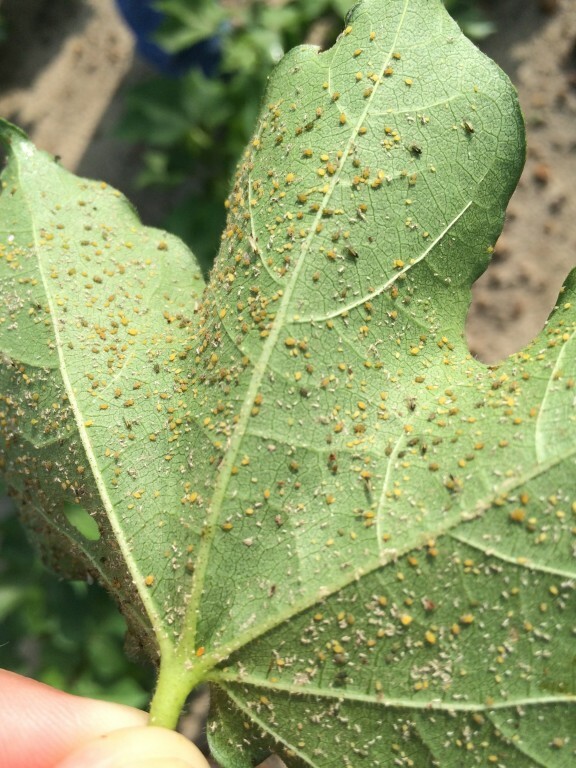 According to Dr. Philip Roberts, UGA cotton entomologist, “The fungus is just now starting and has been observed in some fields this week.” Hopefully, it will make it to our side of the state within the next week. 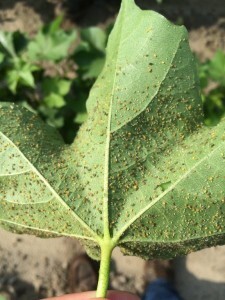 However, it is a judgment call whether to spray for aphids in cotton. There have been some severe cases of aphids in cotton fields and they are beginning to effect the new growth through the loss of moisture and nutrients. This stress factor can be reduced with the use of an aphid insecticide. However, research conducted by Dr. Roberts in Georgia fails to consistently demonstrate a positive yield response to controlling aphids. If you decide to spray for aphids in your cotton, please consider beneficial insects in your insecticide selection and their importance through the growing season. Use a selective insecticide and not one that kills off all insects. Transform or Centric seems to work the best. * Some info used from Bill Tyson, Bulloch county Extension Agent.